Howard Frank Mosher is the author of eleven novels and two travel memoirs. Born in the Catskill Mountains in 1942, Mosher has lived in Vermont’s fabled Northeast Kingdom since 1964. He has won many awards for his fiction, including Guggenheim and National Endowment for the Arts fellowships, the American Academy of Arts and Letters Literature Award, the American Civil Liberties Award for Excellence in the Arts, the Vermont Governor's Award for Excellence in the Arts, the New England Book Award and, most recently, the 2011 New England Independent Booksellers Association's President's Award for Lifetime Achievement in the Arts. 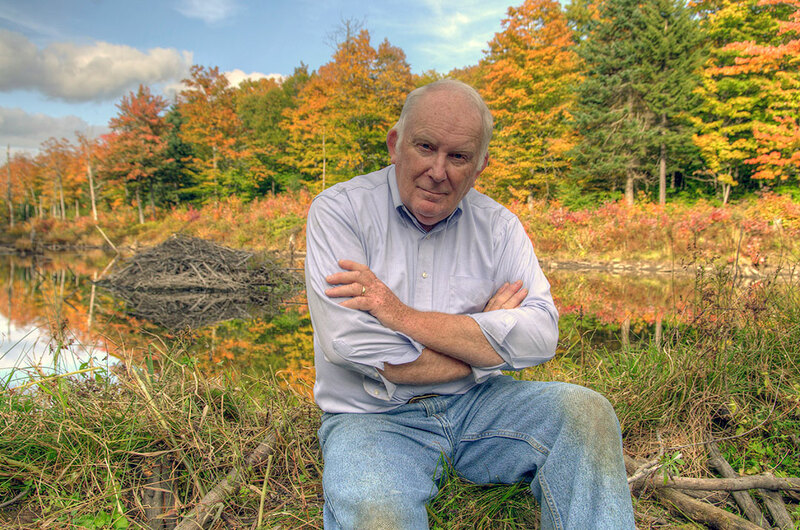 Four of his novels, Disappearances, A Stranger in the Kingdom, Where the Rivers Flow North and Northern Borders have been made into acclaimed feature movies by the Vermont independent filmmaker Jay Craven. Howard and Phillis, his wife of 51 years, have a grown son and daughter.